Phantom of the Opera fancy dress costume. 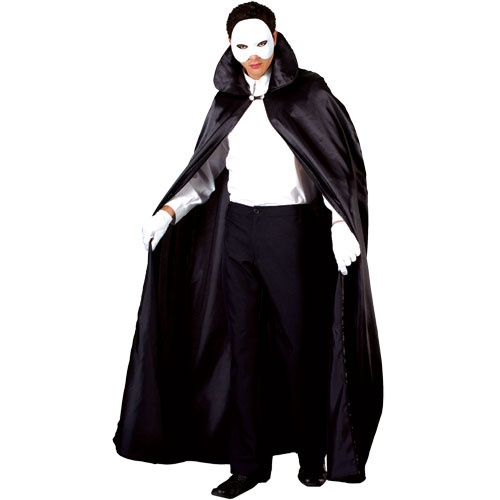 Phantom costume includes deluxe cape, mask and white gloves. Costume is packaged on a hanger in a zip up carry bag.